Now I know what you’re thinking don’t be so difficult, Easter is a time of fun and expanding waistlines. After all, isn’t one of the core fundamentals of the holiday bunnies, baskets and chocolates? The answer to that would be no, actually. If anyone is wondering, Easter is actually a Christian religious holiday that celebrates the Christian belief system whereby their saviour Jesus Christ died for their sins and then was ultimately resurrected three days after his crucifixion. However, we here at Sir Holiday wanted to look into the controversy surrounding all of this candy and find out why we have baskets and sweets galore in the first place. Let’s find out. First off the total amount of money spent annually on all Easter related goodies is a whopping $14.6 billion, and to think all we’re doing is buying eggs and bunnies and candy for the kids. Furthermore 120 million pounds or 54 million kilograms of Easter candy is sold each year, and 90 million chocolate bunnies are made each year for Easter celebrations. Wow, but we really do have a sweet tooth. Now onto the topic of Easter baskets, Easter although now known as a Christian holiday has been possibly linked to former pagan traditions. It has been hypothesised that due to the fact that Easter takes place at the time of the Spring Equinox, that early Christians used many early pagan customs and incorporated them into Easter celebrations. One such example is the ancient fertility goddess known as Eostre, this particular deity resided not only over fertility but also over whether or not a harvest would be plentiful. In order to ensure that the year’s harvest would be abundant, many people would take baskets filled with seedlings to her altar. If the goddess found these offerings to be pleasing, then she would grant the humans with an abundant harvest. 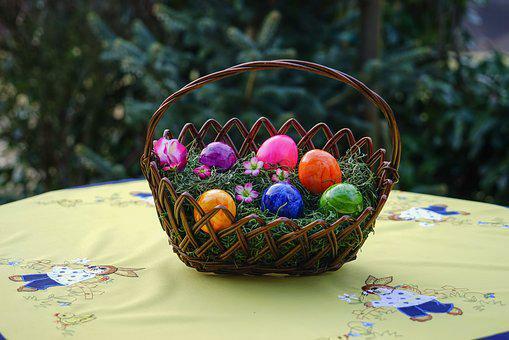 It is important to note that baskets in general are associated with Eostre as she would often be depicted within mythical art and stories as carrying a basket that was laden with eggs as a symbolic reference to her boundless fertility. A further symbolism of the basket is the creation of new life. This is probably one of the main reasons that when early Christians pulled in former traditions that the idea of Easter baskets tied in so well with the Easter celebrations and why it has continued on till today. Other writers and families have pointed out that the Easter basket is a physical reminder of the importance of the occasion. The physical Easter basket filled with goodies is a way of connecting the Christian message behind Easter with something fun and positive that stretches from their childhood years through to their adult years. 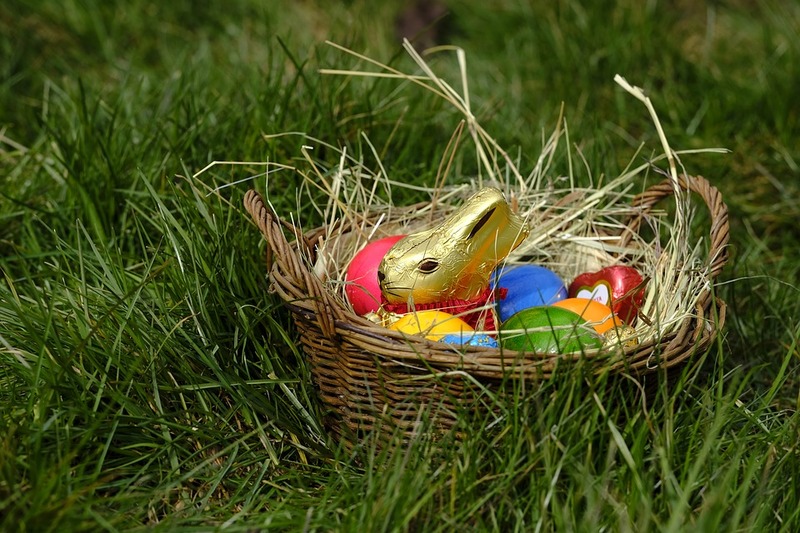 And which they will hopefully pass onto their own children, another interesting point over the Easter baskets is that when children hunt for them and are filled with shock upon finding their treasure trove. That feeling of shock is the same as the feeling in the Bible when it was discovered that Christ had risen from the dead, thus the hunt aids further in the Christian allegory. For more holiday information visit Sir Holiday today.